No, that’s not some poor Auburn fan plum tuckered out from trying to reach the new wires, it’s Walt Austin (who knows a little about creatively celebrating Auburn championships), in a toilet paperless but still perfectly appropriate tribute to Jason Dufner’s PGA Championship win. Upon his return to Auburn, Dufner said he’d be cool with trying to replace the Toomer’s Oaks with oaks he took from Oak Hill. 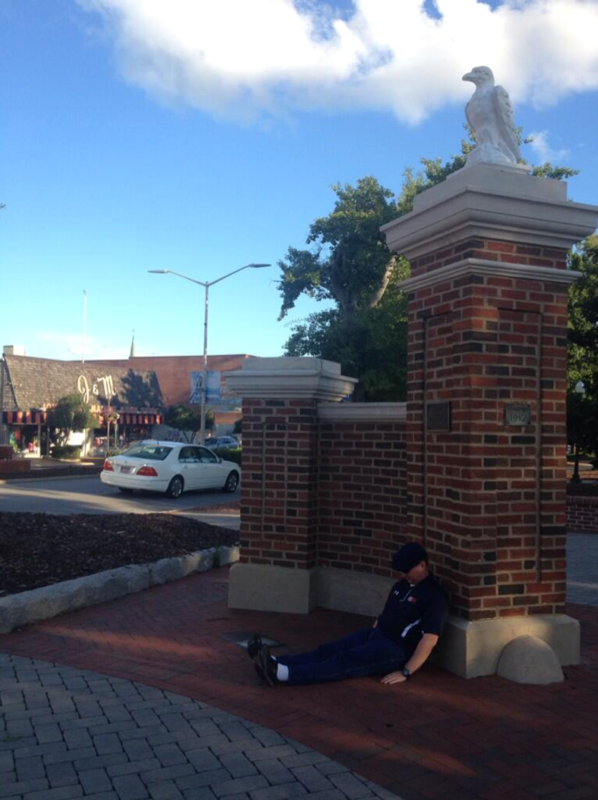 Related: Jason Dufner Dufnering in the Auburn weight room.